Los Angeles Police Department (LAPD) Board of Rights (Board) found LAPD Officer Betty Dove guilty of one count of inappropriately accessing an LAPD computer system and two counts of making false statements to internal affairs investigators. After the Board recommended that Dove be removed from the LAPD, the chief of police terminated Dove's employment. Dove petitioned the superior court for a writ of mandate to set aside the decision to terminate her employment. The court denied the petition and Dove appealed. She contends that the evidence is insufficient to support the Board's findings and that a statute of limitation bars the LAPD's claims. Dove was employed with the LAPD as a `Police Officer III’ and assigned to the North Hollywood division. From 2009 until 2011, she was `in the field’ as a training officer. In late 2011, Dove worked in the North Hollywood station as a timekeeper. Although her timekeeper duties did not involve training other officers, she would occasionally assist the training coordinator and conduct informal computer trainings on an ad hoc basis. In the summer of 2009, Dove began a dating relationship with Carlos Rosales, and in early 2010 the two began living together. On April 6, 2010, Dove ran a search of Department of Motor Vehicles (DMV) records using Rosales's driver's license number and conducted a `master inquiry search’ for the name `Carlos Rosales.’ In December 2011, Dove and Rosales moved to a residence in Montebello. They registered as domestic partners in December 2012. Rosales's driver's license was scheduled to expire on January 3, 2012. About four weeks before that date, on December 7, 2011, Rosales went to a DMV office in Newhall where he applied to renew his driver's license and to inform the DMV of his change of address. Due to an apparent DMV error, however, the record of Rosales's license renewal application was not saved, and for some time DMV records indicated that Rosales's license expired on January 3, 2012. On January 11, 2012, Dove used the LAPD's computer system to access Rosales's DMV records by inputting Rosales's driver's license number. Six days later, she did it again. On January 27, 2012, Rosales went to a DMV office in Montebello and applied for a duplicate driver's license. On March 6 and 7, 2012, Dove again used Rosales's driver's license number to access Rosales's DMV records on an LAPD computer system. On March 7, 2012, Rosales went to the Montebello DMV office where he had his picture taken and got his driver's license reissued. Dove v. City of Los Angeles, supra. In a footnote appended to the reference to a “master inquiry search” above, the court explains that a “master inquiry performs a search of a variety of local, state, and federal agencies.” Dove v. City of Los Angeles, supra. Dove's use of LAPD computers to search Rosales's DMV records went undiscovered for the next 13 months. Meanwhile, Dove and another North Hollywood police officer, Jason Acevedo, were involved in a family law dispute concerning the custody of their son. In connection with that dispute, Dove submitted to the family court information regarding Acevedo's work schedule. Acevedo believed that the information was confidential, and complained about Dove's disclosure to the commanding officer of the North Hollywood division, Peter Whittingham. Dove v. City of Los Angeles, supra. [o]n April 11, 2013, Sergeant Season Nunez received and reviewed the computer audit results. The audit did not indicate that Dove had performed any computer searches for Acevedo, and the LAPD determined that Acevedo's complaint was unfounded. The audit, however, revealed Dove's computer inquiries regarding Rosales's driver's license. The audit also revealed that on February 22, 2012, Dove used her prior, married name—Betty Jefferis—to run a gun registration check and two master inquiry searches. The results of the audit were not disclosed to Dove for several months. In April and May 2013, Dove, through her attorney, raised concerns about how she had been treated after her return to the North Hollywood station. Among other issues, Dove complained that Captain Justin Eisenberg had referred to unresolved, but unspecified, issues concerning Dove, which Eisenberg said he had discretion to pursue. Dove construed this comment as a threat. On June 21, 2013, Dove met with LAPD internal affairs investigators, Sergeants Bridget Pickett and Mike Berretta, to address Dove's complaints. At that time, Dove was aware of the ITD audit, but did not know the results. She believed that the audit might have revealed that she had used computers to search, or `run’ her name, and that Eisenberg's reference to unresolved issues might have related to such runs. In September 2013, Pickett delivered the audit report to Sergeant Paul Chambers of the LAPD's internal affairs group and told Chambers that she believed Dove `lied to’ her. On September 27, 2013, Chambers showed Dove a portion of the ITD audit that indicated that Dove had run Rosales's driver's license number. [o]n November 1, 2013, Chambers interviewed Dove regarding the alleged computer misconduct. Dove admitted that she had run Rosales's driver's license number, but said she did so only `for training purposes.’ Dove explained that she used Rosales's name, because it was a `common name, which would mean there would be multiple hits when running it. It's a great training tool.’ She said she had Rosales's permission to use his name, and she produced a letter from Rosales, signed, ostensibly, on August 16, 2009, giving Dove such permission. Rosales had his signature on the letter notarized on October 24, 2013, about one week before Dove's interview with Chambers. Dove could not recall during the interview the names of officers she had trained with Rosales's information. The three-count complaint was mailed to Dove on April 8, 2014. Board held its hearing on the complaint over the course of eight months in 2014 and 2015. Evidence of the facts summarized above was introduced, and Dove testified consistent with her prior statements: Dove performed the pertinent searches in the course of training others, and used Rosales's name with his permission because it was `a common last name where you get multiple hits.’ She did not explain how the `common last name’ rationale justified her use of Rosales's driver's license number, and could not recall why she performed a search of her married name instead of her then-current name. Dove testified that no one ever told her that she could not use her name or the name of another for training purposes. Saul Aviles, an LAPD employee in the records and identification department, testified regarding LAPD's rules and procedures in place to ensure appropriate use of the computer systems. These include a requirement that each employee sign an `operator security statement.’ In this statement, which Dove signed, the employee is informed of and agrees that employees are prohibited from disclosing information from LAPD's `official files, computer files, documents, records, reports and information’ except in the scope of their employment. Aviles identified an admonishment that appears on a computer screen at the outset of a master inquiry search, stating that the system `is for law enforcement investigations only.’ Aviles explained that when employees are trained on the use of computers, LAPD trainers use `control documents [and] control numbers’; they are not allowed `to use actual live records as a means for training,’ unless accessing the live record is also part of a pending investigation. Richard Perez was a training coordinator in the North Hollywood division. Although Dove was a timekeeper, she would provide informal computer training for officers during the January to March 2012 period. Perez stated that when training officers on computer searches, he would use the name of an `actual suspect’ or his own name. He would use his own name, he explained, to show a trainee what a DMV printout would look like. Dove introduced numerous witnesses who testified that she often provided informal computer training or assistance to officers as needed, and that she is an honest person with no integrity issues. Although Dove identified the names of some officers she believed she trained on the computers, no one testified that Dove had trained him or her by using Rosales's name or driver's license number or with Dove's former name. In December 2014, the Board found Dove guilty on each count. After a further evidentiary hearing, the Board recommended Dove's removal from the LAPD. On February 25, 2015, the chief of police upheld the Board's decision and terminated Dove's employment. verified petition for a writ of mandate on April 29, 2015, against the City of Los Angeles and its chief of police. Dove sought, among other relief, a writ commanding the respondents to set aside their decision to remove Dove as a police officer and to restore her to her position. Among other arguments, Dove asserted that each count was time-barred and that the Board's finding on count 1 was not supported by the evidence. The superior court denied the petition and entered judgment for the City and its chief of police. Regarding count 1 (inappropriate computer access), the court stated that it did not believe Dove's explanation that she used Rosales's name for training purposes. 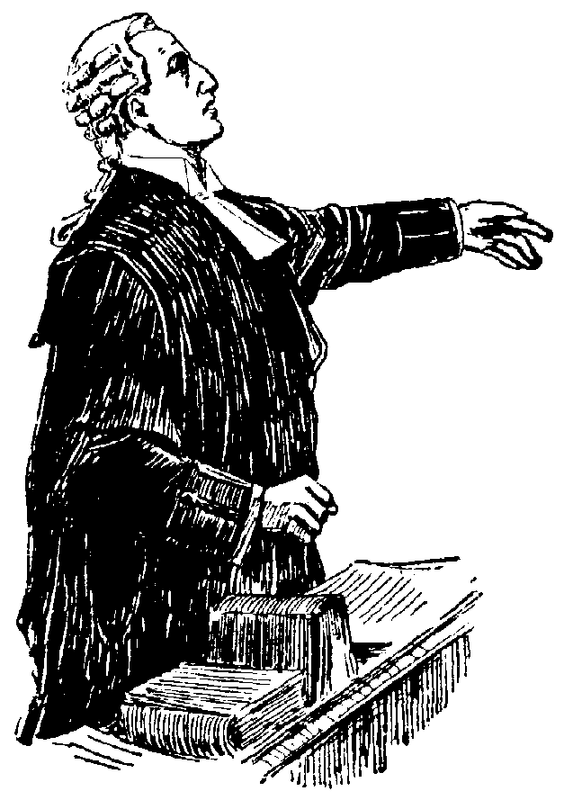 The court pointed to evidence that Dove's primary assignment of timekeeper meant that she would not normally train others on the computer system; Dove gave no explanation for running her married name, and `there is no good reason for even a trainer to run someone whom one is dating as opposed to using their own name or a dummy name.’ The court gave no credence to Rosales's 2009 permission letter, which it described as `phony,’ `concocted,’ and `fabricated.’ The court further explained that Dove's explanation for using Rosales's name—to show trainees a search that would produce multiple hits—`made no sense because she used [Rosales's] driver's license number.’ The court also reiterated Chambers's view that Dove's running of Rosales's driver's license on the same day Rosales got his license reissued `was a heck of a coincidence.’ Dove timely appealed. The Court of Appeal then took up other issues Dove raised in challenging the decisions outlined above, beginning with the statute of limitations. Dove v. City of Los Angeles, supra. Dove argued that various of the judicial and administrative decisions above were taken on dates that were “untimely,” i.e., the applicable statute of limitations had run before they were made. Dove v. City of Los Angeles, supra. I am not going to include the court’s analysis of each argument in this post, because in each instance the court found that the decision was made before the applicable statute of limitations had run and were, therefore, valid. Dove also argued that the evidence presented on each of the three counts filed against her “was insufficient to support the court's determinations of guilt as to each count.” Dove v. City of Los Angeles, supra. After reviewing the events and the evidence outlined above, the Court of Appeals held that there was “sufficient evidence to support the court’s finding that Dove was guilty of the charges” in ach of the three counts. Dove v. City of Los Angeles, supra. The court therefore affirmed the judgment of the trial court. Dove v. City of Los Angeles, supra.